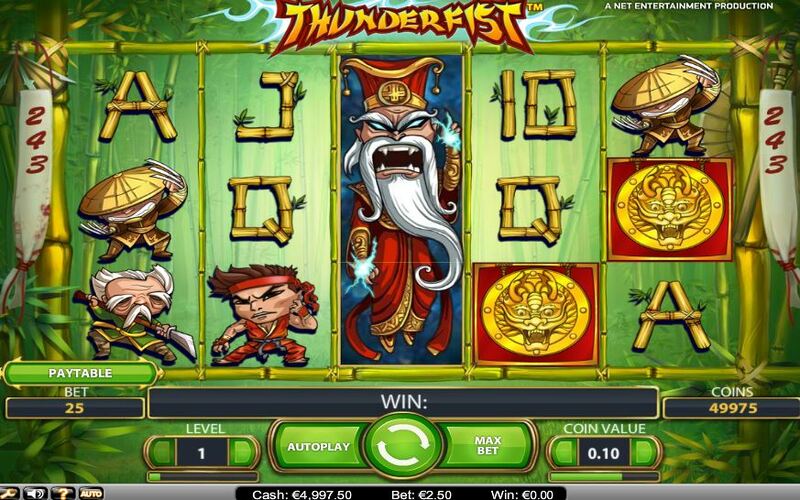 Thunderfist slot by Netent with 243 ways and 5 reels of 3 rows has an Oriental theme. You have stacked Wilds in the form of the Emperor along with other Chinese items, plus of course the card symbols. 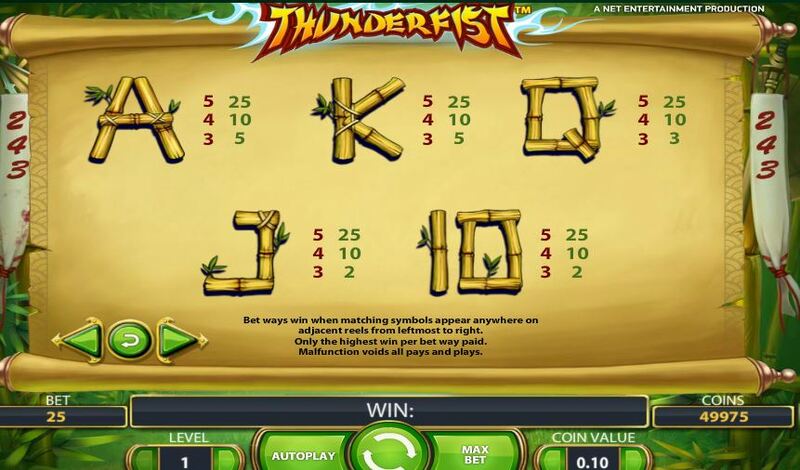 Symbols appear singly aside from the Wilds and 3 golden coins anywhere in view awards 10 free spins which can be retriggered. 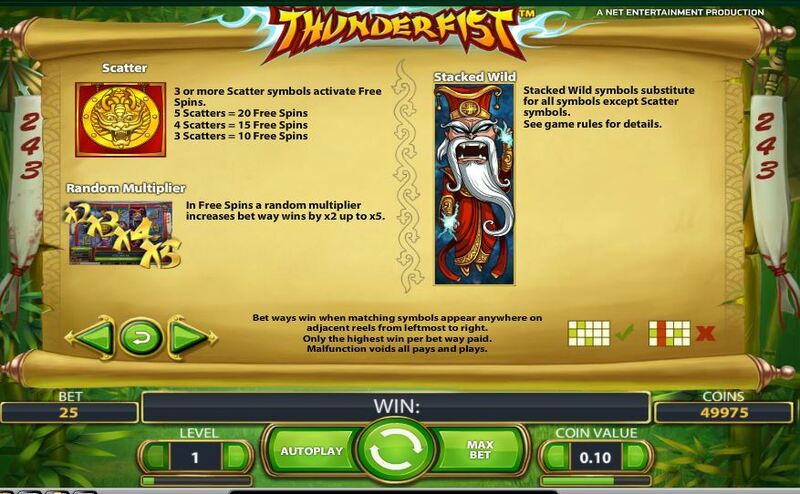 During these spins any wins are allocated a random multiplier of 2x up to 5x. 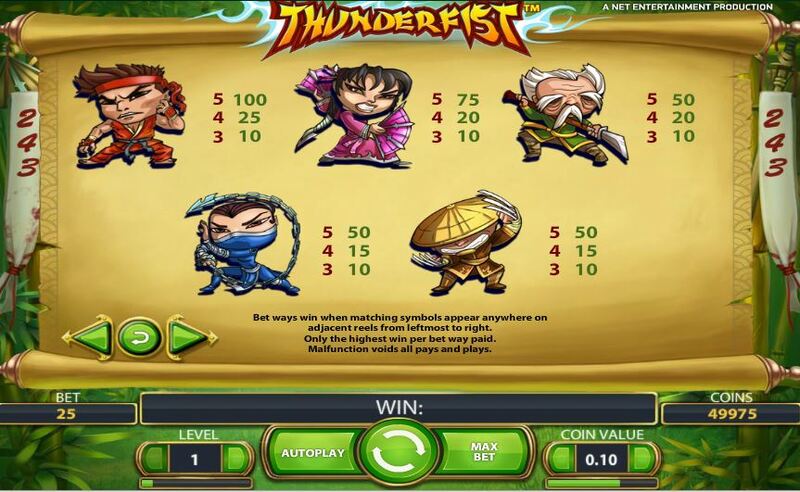 The Thunderfist slot has a RTP of 96.70%.